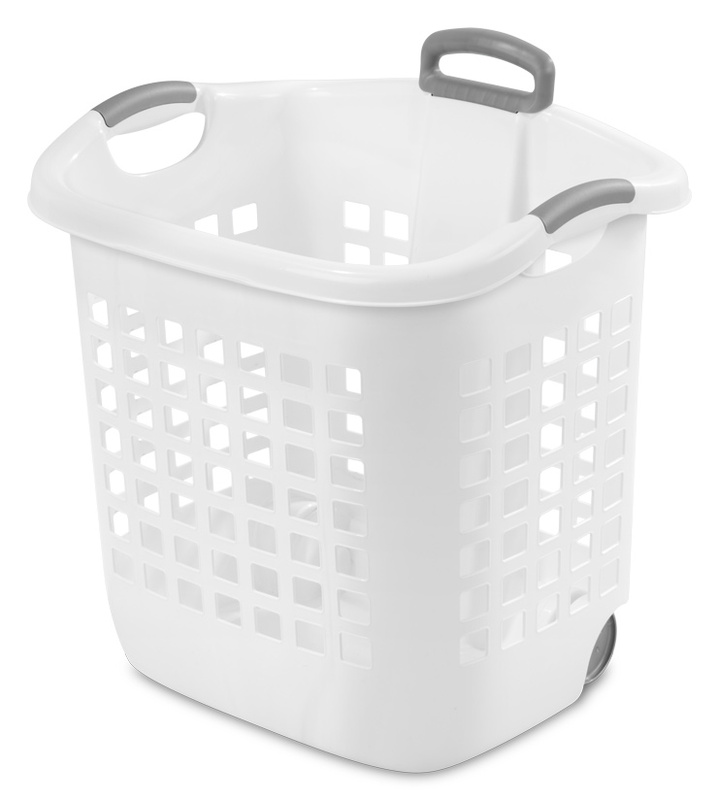 The 1.75 Bushel Ultra™ Wheeled Laundry Basket is the best combination of basket and hamper. It combines the valued features of portability and capacity and is perfectly sized to hold the entire family's laundry. It offers smooth gliding wheels and a retractable handle that pulls out to easily transport clothes to and from the laundry room or bedroom. The hole pattern allows clothes to remain well ventilated and the integrated handles allow for easy carrying up and down stairs when desired. 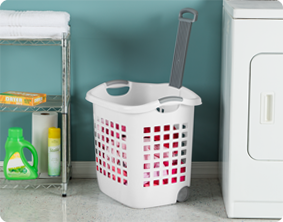 The smooth plastic interior is snag proof and easy to clean and is an ideal solution for storing dirty clothes, transporting laundry or sorting loads. The overall dimensions of this item are 21 1/8" L x 16 3/4" W x 22 1/8" H.
Overall Assembled Size: 21 1/8" x 16 3/4" x 22 1/8"
Perfectly sized to hold the entire family's laundry. 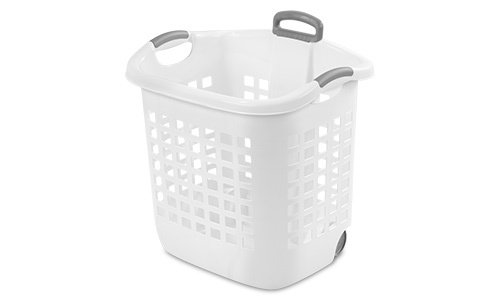 1.75 Bushel Ultra Wheeled Laundry Basket is rated 5.0 out of 5 by 1. Rated 5 out of 5 by Bettyhop from Very well made and convenient! I bought two for my teens to take to college and it's worked out perfect! They can tote their laundry and cleaning suppies all in the basket and since it has wheels, they don't have to carry everything. Really convenient for college!